Provides top versatility and flexibility. Precision Crease Brush Medium 232 is a Make Up For Ever eye brush specially designed for precise application in the crease of the eye. 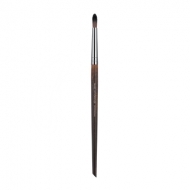 Its long and slender shape with a tapered tip provides greater accuracy in the crease and waterline, perfect for liquid eyeliners. The firmness of its fibers offers superior control and firmness in the application. Apply you eyeshadow and smudge evenly. 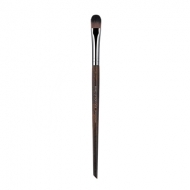 Its tip is similar to calligraphy brushes ideal to create smooth and precise lines using Aquarelles or liquid makeup.